UDIMA (Madrid Open University/Universidad a Distancia de Madrid) is going to hold a virtual briefing session on its ICT training programmes, on Wednesday, September, 25th, at 19:00 (UTC+2). Mr. Juan Luís Rubio Sánchez, Vice-chancellor of Academic-Business Relationships at UDIMA will talk about four areas of growing demand in the ICT workplace: cyber-security, IT services procurement, computer forensics & expertise and project management. 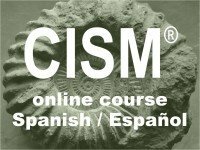 The online session will count with the participation of iTTi's Mr. Miguel García-Menéndez who will talk about joint iTTi+UDIMA's "CISM online Spanish course" to start this autum, as part of UDIMA's professional certification in cyber-security and information assurance programme.